Get your Vitamin E with an important trace mineral to give your body important antioxidant protection. 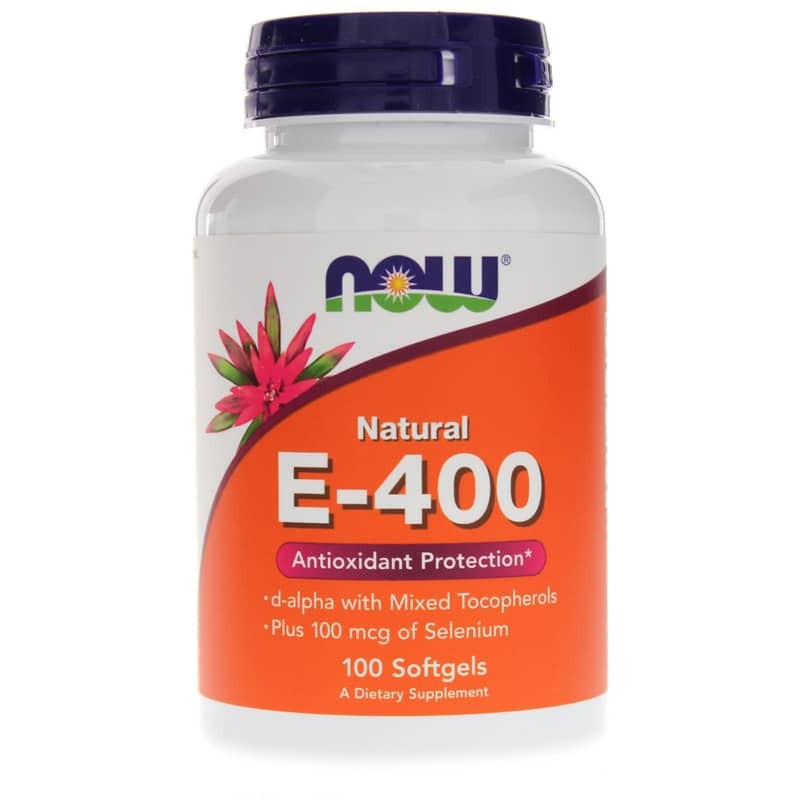 NOW Foods offers its E-400 supplement with Selenium. That's because the mineral and the vitamin works as a complementary partner. They may be able to support your body's natural defense against lipid peroxidation. Both Vitamin E and selenium are antioxidants. But selenium becomes more efficient when combined with Vitamin E. Selenium is also important for thyroid health. 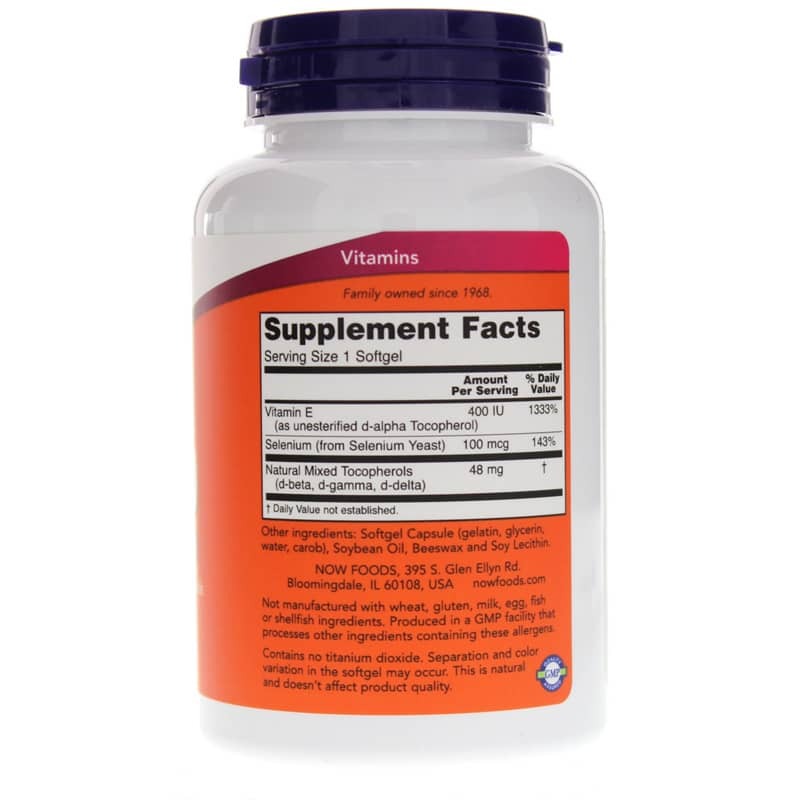 The nutrients in this supplement could help your body defend against cell damage from free radicals. So choose E-400 from NOW Foods today! Other Ingredients: Softgel Capsule (gelatin, glycerin, water, carob), Soybean Oil, Beeswax and Soy Lecithin. Contains Soy. Not manufactured with: wheat, gluten, milk, egg, fish, shellfish or tree nut ingredients. Produced in a GMP facility that processes other ingredients containing these allergens. Contains NO: titanium dioxide. Separation and color variation in the softgel may occur. This is natural and does not affect product quality. 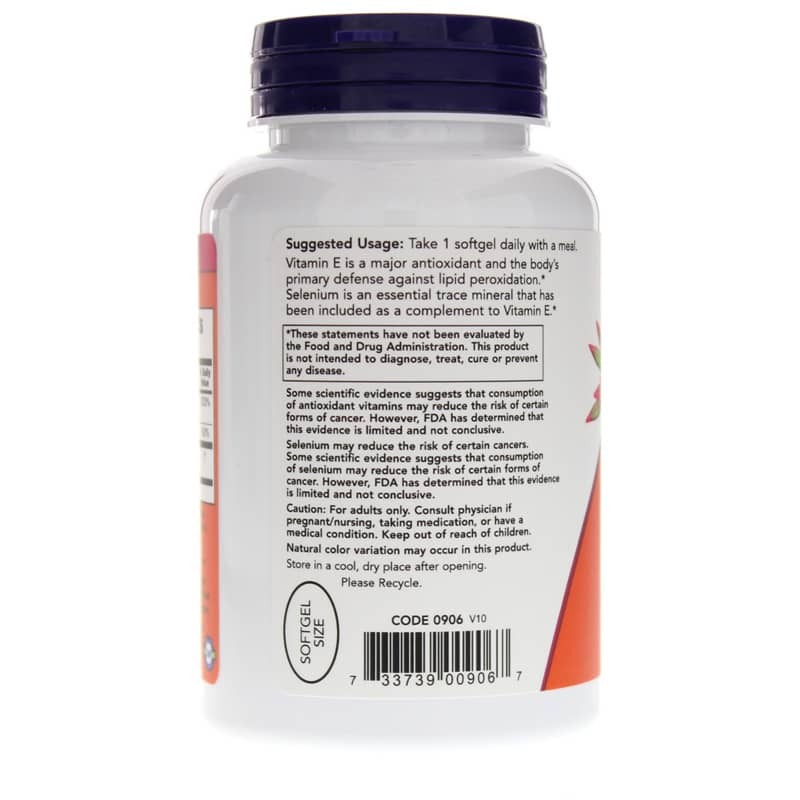 Adults: As a dietary supplement, take 1 softgel daily, preferably with a meal.